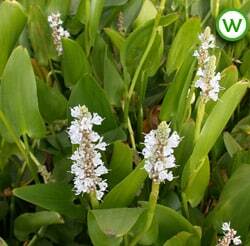 Pontederia cordata alba (white pickerel) is more compact and slightly shorter than the common (blue) pickerel weed. 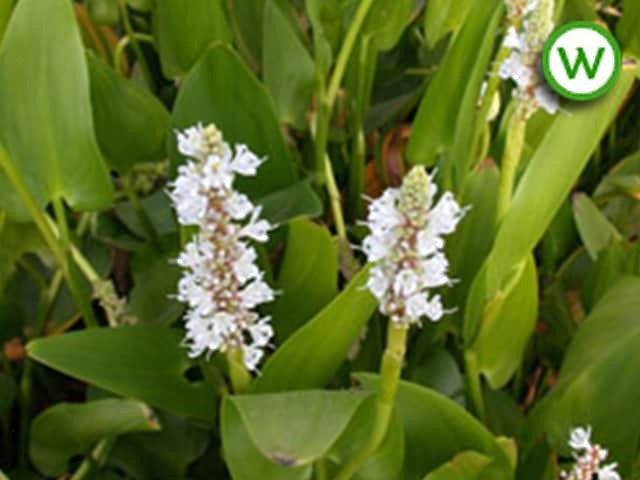 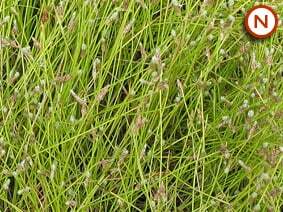 A great structural plant which flowers from mid to late summer, forming clumps of striking lance-shaped leaves and dense white flower spikes. 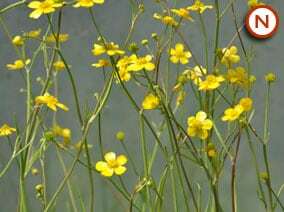 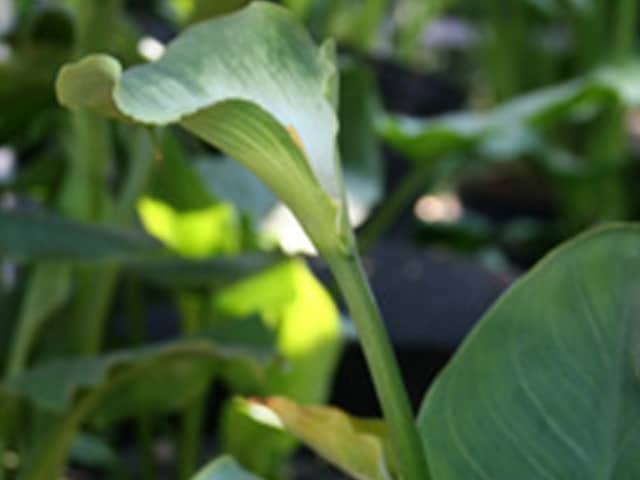 A valuable plant providing egg laying sites for adult dragonfly also perching and roosting sites; the larvae use the stems to climb out of the water.